Researchers in China have retracted two 2016 papers about the possible use of a cholesterol-lowering agent to treat bleeding on the brain. 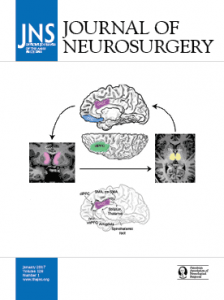 One of the retracted papers in the Journal of Neurosurgery (JNS) had multiple problems that were “too extensive to revise,” according to the lengthy retraction notice, relating to issues with authorship, data analyses, and patient enrollment. The notice is signed by first author Hua Liu of the Nanjing Medical University in China. Liu is also the first author of another recently retracted paper in Frontiers in Neuroscience, pulled for incorrectly categorizing patients. TO THE EDITOR AND READERSHIP: On behalf of all authors, I respectfully request the retraction of our article, “Effect of atorvastatin on resolution of chronic subdural hematoma: a prospective observational study” (J Neurosurg, published online July 29, 2016; DOI: 10.3171/ 2015.12.JNS151991). This request is based on multiple problems with our study and paper that are too extensive to revise. The original paper, “Effect of atorvastatin on resolution of chronic subdural hematoma: a prospective observational study,” was published in July 2016. In the paper we state that patients were enrolled into the study between February 2012 and August 2014. In fact the study did not commence until May 1, 2014. Use of the Markwalder grading scale/Glasgow Coma Scale in this study was inappropriate and not in keeping with the real meaning of the scales. Actually, there is a negative correlation between the severity of chronic subdural hematoma and scores on the Markwalder grading scale/Glasgow Coma Scale. An error in categorizing the data led to faulty data analyses and results that were inaccurate. An expert committee reanalyzed the reported data and noticed a serious error originating at one of our collaborating centers, The People’s Hospital of AnQiu City. At that institution, 17 patients were enrolled in the atorvastatin group. Ten of these patients were lost to follow-up and were incorrectly categorized as all belonging to the “no surgery” subgroup. As a result, the data analysis that was performed produced inaccurate results. This is an egregious scientific error. This study failed to rule out some confounding factors. We have concluded that our findings may not be sufficient to guide clinical practice. The results published in our paper are misleading, and our conclusions are exaggerated. Indeed, further more rigorous randomized controlled trials with large sample sizes are needed to confirm the effect of atorvastatin. Not all authors agree with the order of authorship. The description of the authors’ contributions to the study is not completely accurate. Last, the contact information for the corresponding author was incorrect. We regret the errors in this article and appreciate the opportunity to retract it from the literature. James Rutka, editor-in-chief of JNS from the University of Toronto in Canada, told Retraction Watch that no accusations from readers prompted the retraction; instead, he noted, the authors requested the study be pulled. He added that all authors agreed to the wording of the retraction, and believed that it was appropriate. I’d like to lean on the side that the authors made honest errors, but don’t know for sure. But, according to Rutka, the journal now has “heightened sensitivity” to future submissions by the same authors, which may result in decisions on papers being made before they are sent out to peer review. In one of our collaborating centers (The People’s Hospital of AnQiu City), 38 patients were enrolled in an atorvastatin group. Among them, 26 patients lost to follow-up were categorized and analyzed as “non-recurrence group.” It was a fundamental error and thus we must retract this article. We apologize for any inconvenience caused by the retraction of this article. We’ve contacted Gearóid Ó Faoleán, ethics and integrity manager at Frontiers, for more information. Both retracted papers share the following authors: Hua Liu, Zhongkun Liu, Jian Yang, and Shifeng Kan.
We’ve reached out to reached to Hongyi Liu, the JNS paper’s last author, who is listed as being affiliated with Nanjing Medical University. We’ve also contacted the Frontiers in Neuroscience study’s last author, Shifeng Kan, who is based at Shanghai Jiao Tong University in China. We weren’t able to find contact details for Hua Liu. We’ll update the post if we hear back.